Various Artists - Djax-Re-Up Vol. 1 (Djax-Up-Beats). Vinyl LP. Bleep. Dekmantel reissues a compilation of bangers from legendary ‘90s techno label Djax-Up-Beats. The Eindhoven imprint was set up by DJ and producer Miss Djax at the turn of the decade, and the records Djax-Up-Beats released in the subsequent years remain some of the most influential club jams made in Europe. 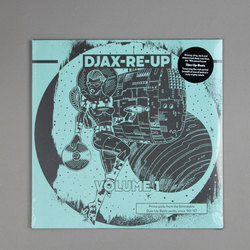 Djax-Re-Up Volume 1 presents seminal numbers from the likes of Glenn Underground, Felix Da Housecat and K’Alexi Shelby. Vital selections.